I know this is a weird topic. I remember as a child that in our schools we had small toilets since we were small children. And the teachers and adults had normal sized ones. The reason I am doing this post is that it is insane that toilets are like 12 inches high. OK! Maybe not literally, but it feels that way at times. I feel like I have reverted back to 1st grade sized toilets when I see what some public restrooms offer. So I’m wondering who in the world got the idea that it is a good thing to make child sized toilets for adult sized butts and heights. I feel for those people who are handicapped or tall. They might as well sit on the floor or squat down to go to the bathroom. Today Craig and myself went out to lunch. And with my mind wondering about differences in sizes of toilets. I noticed that in the handicapped stall the toilets were normal people sized. While the other stalls are where you might as well be a toddler learning how to use the potty, because it is by all appearance made for a 4 or 5 yr old. The only thing missing is the little song that plays when you tinkle. My mother in law would get so upset when she had to go potty and there was an as in one handicapped stall. And of course that was the only place that had normal toilets. She had bad knees and such so she had an issue with short ones. Shoot I have an issue and medical problems and I can see why she would have a problem with the heights. And it never fails that the one in the handicapped stall is someone capable of getting up off the short toilets they think are OK for adults. I wonder if it was a man who created this design or someone who is around 4 ft tall. I’m willing to bet that people over 6 ft wonder the same thing. And not to mention the basketball players. I can see the look on their faces as the analyze the situation and wonder how in the world they are going to be using it without his legs sticking out from under the stalls. 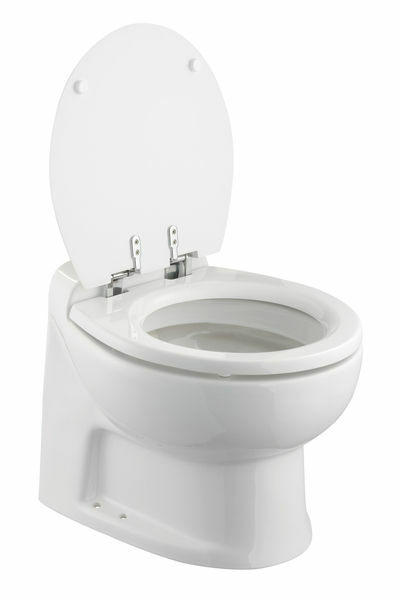 Toilets are referred to as “water closets” in ADA Accessibility Guidelines. To be compliant with ADA guidelines, the height from the floor to the top of the toilet seat must be from 17 to 19 inches. For children that height can be a minimum of 11 inches and a maximum of 17 inches. 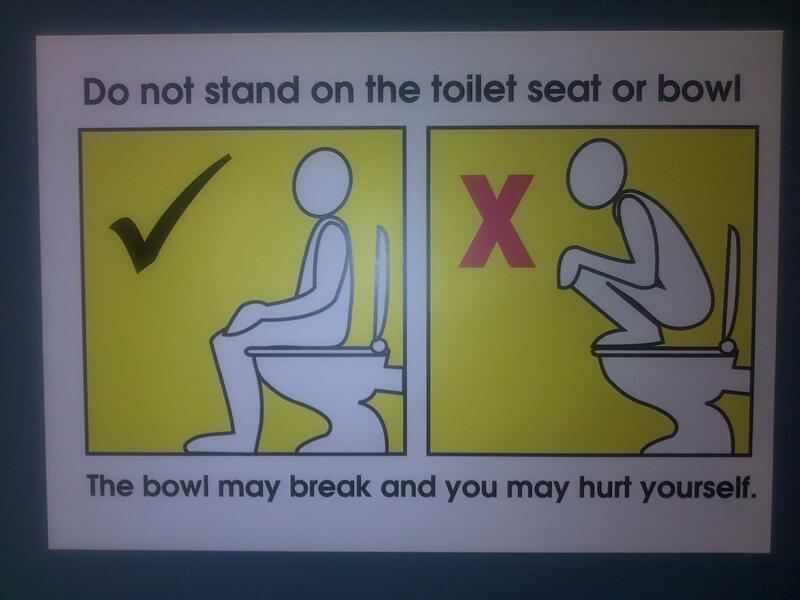 Some places even offer instructions on how to use a toilet in the right way. 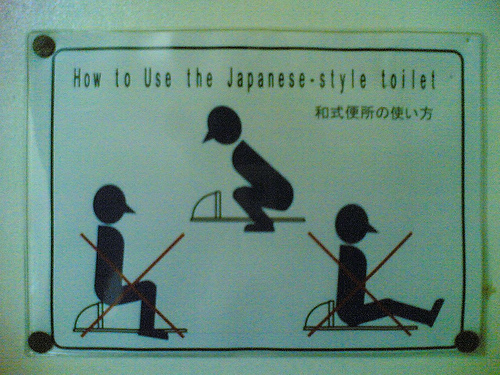 Not sure why someone would need this instruction picture, but soon enough I found the squat toilet. I did find it interesting when searching the internet for types of toilets and when I came along a picture of a squat toilet. A friend of mine which is more like family was in Switzerland and they had these. OK! I know I’m complaining of short toilets, but this is ridiculous on so many levels. Maybe this is where the term “Pop a Squat” comes from. A squat toilet (also known as an Arabic, French, Chinese, Japanese, Korean, Iranian, Indian, Pakistani, Turkish or Natural-Position toilet; or Nile pan) is a toilet used by squatting, rather than sitting. I have to say I got a kick out of this comment when I read what is so great about squat toilets. “Avoiding health issues also saves money. Treating cancer, IBS and other disorders can become very expensive. By using this kind of sanitary toilet, you stand less chance of contracting these diseases, thereby saving the expense of treating them” The reason I got a kick out of it is that I would love to see a little old lady or someone handicapped being able to use this. They may be not get cancer by using this method, but I sure would wonder how they would be able to get off the floor or out of that position. There is even directions on using the squat toilet, egadds… Maybe I shouldn’t complain about short toilets built for children since other counties have to do their thing this way. What would be do without instructions for going potty?